E-commerce is about selling from your website and taking payment online. If you've only got a few products, or sell unique one-off items, we can build a site which is tailored to you, with no monthly fees. For larger product ranges, with a need for stock control and order processing, we will use the most suitable e-commerce platform for your business, and tie it into your back room administration too. "Selling online can make or break a business"
Many of the popular ecommerce packages involve a monthly charge and need you to have an internet enabled merchant account with your bank and a 'payment gateway' to process card payments - more monthly charges whether you sell anything or not. But selling a small range of products or services online needn't be expensive. We can build a website linked to your Paypal account that doesn't need an ecommerce platform, doesn't need a payment gateway, and doesn't need a merchant account. Paypal provides all that with no monthly charge, just a small percentage of the transactions. And your website visitors don't need a Paypal account to buy with a credit card. If you have a wide range of products to sell or you need built-in order processing or stock control then you will need a comprehensive ecommerce platform and we'll help you choose one suitable for your business. Some platforms are comprehensive and powerful but you'll need a developer, maybe a team of developers, to keep your shop updated. Others are still comprehensive but sacrifice some of their flexibility for ease of use. You probably want to run your online shop and keep it updated yourself and that suits us just fine. 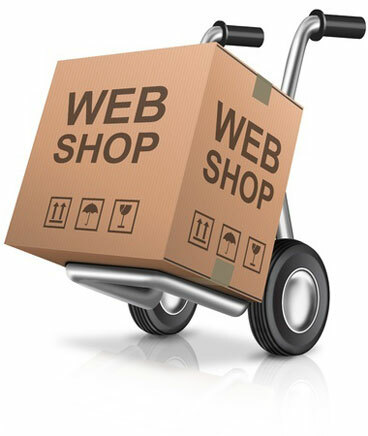 We'll build your ecommerce website, get you or your staff up to speed in looking after it, and be there if you need us.